-Have the wrists underneath the shoulders and knees underneath the hips*. -Spread the fingers, press the knuckles, thumbs and index fingers down, have the wrist-crease in line with top of the mat. -Outwardly rotate the upper arms, broadening the collarbones. 2. Raise the knees few inches off the floor. 3. Push the hips back to the hills. 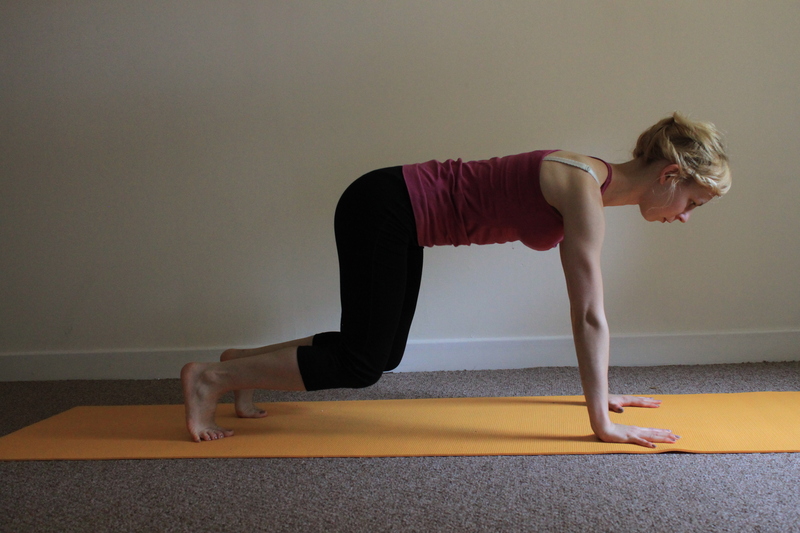 4.Slowly raise the hips up, straightening the legs and keeping the spine long. 5. Make sure the neck is in line with the spine. 6. Move the shoulders down toward the hips, away from the ears. 7. Keep the tailbone high and legs engaged, press the front of the thighs towards the back of the thighs. *If you are tall, place your hands further forward and your knees further back. Benefits: strengthens and tones the arms and legs; improves circulation; lengthens and straightens the spine; helps to relieve pain in the upper middle and lower back; stretches the shoulders, hamstrings, calves, arches, and hands; energises the body; relieves menstrual discomfort; improves digestion. For the past few months I have been using different instructions to guide my students into the Downward Facing Dog pose. It was interesting to see how small changes were affecting the expression of the pose. Observing people with very different abilities, flexibility and strength, brought my attention to weak points of Adho Mukha Svanasana that were very common among beginners. By weak point I mean incorrect alignment and misunderstanding of the aim of the pose. It is important to remember that everyone’s body is different and there is no such a thing like a perfect yoga pose. Yoga asanas are there to serve us, not the other way around. We can use yoga as a tool to become more aware of our body. Better body awareness results in greater physical health and vitality. 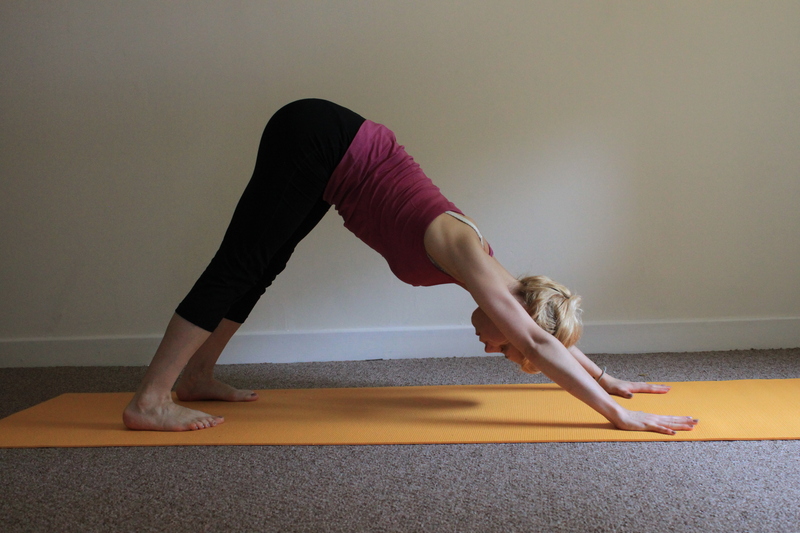 I like Downward Facing Dog, because it works on the whole body, helping us to understand that each part is important; it also helps to identify what to work on to bring the body into balance. 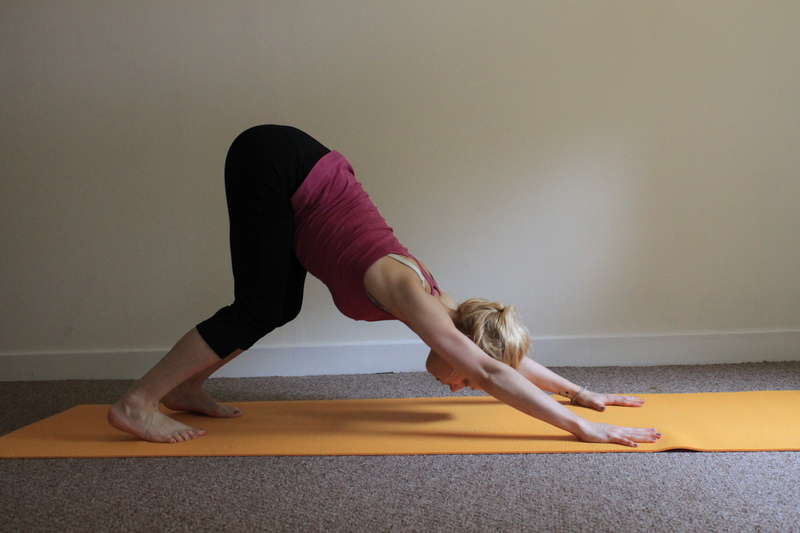 So, what’s important when practicing Adho Mukha Svanasana? Everything! But we know that already ;-). There are actually few things that we often forget once in we are in the pose. A problem that I had myself when starting yoga, was my wrists strength. No matter what pose we perform, it could be Downward Dog, Plank or Cobra, it is extremely important to have the hands aligned correctly. Discomfort in the wrists is often a sign, telling you need to gain more strength in your hands. Always make sure to spread the fingers; firmly plug into the mat the thumb, index finger and the base of the little finger; press knuckles and fingertips into the mat; do not let the centre of the hand collapse. The arms are also very important, correct hand alignment helps to keep the arm muscles engaged. When you press index finger and thumb down, inward rotation of the lower arm will happen naturally. To rotate the upper arm outward move the shoulders down, away from the ears. Hands and feet are our foundation and the only connection with the ground in this pose. Have the feet hips width apart. Make sure to spread the toes and press the base of the toes into the mat. There is no need to drop the heels down to the floor, especially if you are just starting practicing yoga. 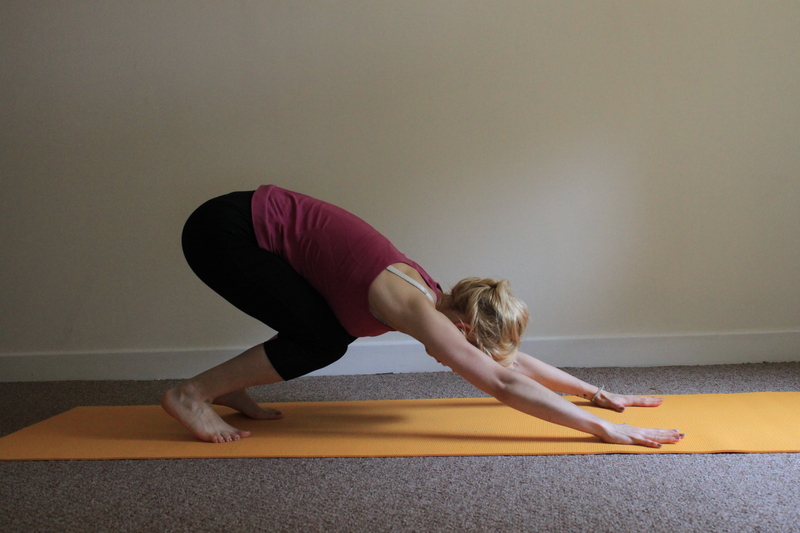 This action could actually cause losing the length in the spine, if your hamstrings are tight. Why? Because hamstrings pull the pelvis into a backward tilt, rounding and putting strain on the lower back. Having the knees bent, and heels lifted, will help to keep the spine long. Remember that sometimes the pose can feel differently, depending what time of the day you practice, what is your energy level is, what is your mood etc. Always listen to your body and adjust if something doesn’t feel right. Things aren’t always the way we imagine them, so let yourself to be open to a new experience.